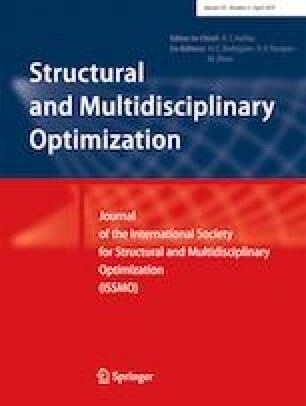 This paper proposes a novel multiscale concurrent topology optimization for cellular structures with continuously varying microstructures in space to obtain a superior structural performance at an affordable computation cost. At microscale, multiple prototype microstructures are topologically optimized to represent all the microstructures within macrostructure by incorporating a numerical homogenization approach into a parametric level set method (PLSM), whose connectivity is guaranteed by a kinematical connective constraint approach. A shape interpolation technology is developed to map these optimized prototype microstructures and generate a series of nonuniform microstructures, which are considered as sample points and used to construct a kriging metamodel. The built kriging metamodel is then employed to predict the effective properties of all the nonuniform microstructures within macrostructure. At macroscale, the variable thickness sheet (VTS) method is employed to generate an overall free material distribution patterns using the predicted effective properties of all the nonuniform microstructures. With the help of shape interpolation technology, all the nonuniform microstructures within macrostructure are well connected with each other due to the similar topological features at their interfaces. Using the proposed method, the macrostructural topology as well as the locations and configurations of the spatially varying nonuniform microstructures can be simultaneously optimized to ensure a sufficiently large multiscale design space. Numerical examples are provided to demonstrate the validity and advantages of the proposed method. This research was supported by the National Basic Scientific Research Program of China (grant number JCKY2016110C012), the National Natural Science Foundation of China (grant numbers 51675196, 51705166, and 51721092), and the Program for HUST Academic Frontier Youth Team.